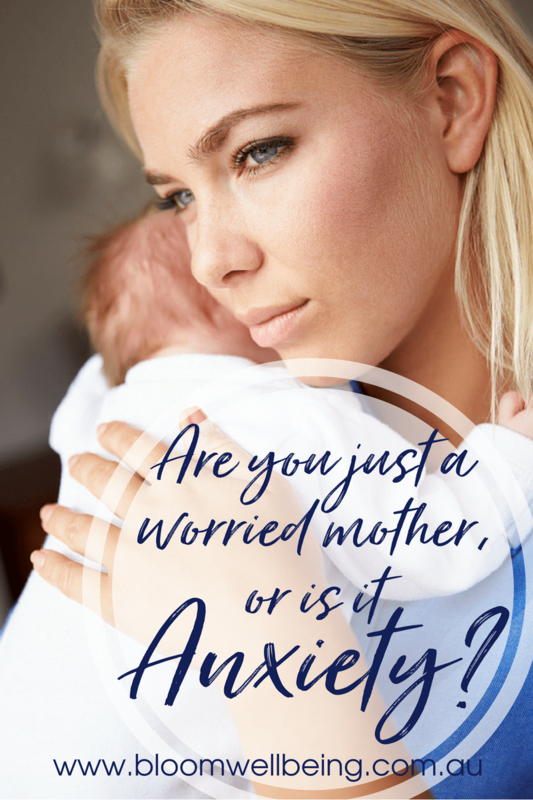 Are you just a worried Mum, or is it anxiety? These are real, actual thoughts I’ve had at some point over the past few months. I’m an over-thinker. A worrier. And yes, just a teeny bit anxious. In my mind, these three things are pretty inter-related. In fact, feeling worry and feeling anxious pretty much exist on a continuum. And my over-thinking tendencies tend to push the needle with regard to where I am on that continuum on any given day. Personally, my anxiety was never an issue before I became a mother. Certainly my worrier tendencies were always there, but they were pretty low-key and probably no different to most of the general population: that little sinking feeling in my belly if I ever got called into the boss’ office, or that nervous over-preparing that came with a public speaking event. So I never identified as being an anxious person. Which is perhaps why it took me a few years to recognise my anxiety as a mother. You know that saying they have about the plumber whose home is full of dripping taps? Well that’s kind of my situation. Even though I’ve worked in this field of mental health for years, it took me a little while to realise the issues in myself – probably because they were so mild. I was used to working with people whose mental health concerns were much more compelling, and much more complex. So that led me to put my thoughts down to typical new-Mum worries. But as the years passed I started to realise that many of the quirky little thought processes I had over my six years as a parent weren’t actually your bog-standard run of the mill concerns. This was a thought I had pretty regularly on our daily walk in our small coastal town in Central Queensland – it was hardly Gotham City, and a brazen daylight abduction was highly improbable, but my brain still went there. So, yes, in fact, I actually was meandering a bit further along the anxiety spectrum than I realised. And even though my anxiety was quite mild when compared with others’, and I certainly wouldn’t classify it in a clinical range of anxiety, that didn’t mean that it didn’t deserve my attention. Of course, I’ve got my tongue firmly planted in my cheek here. But my point is that, on the surface at least, it’s far more socially acceptable to be anxious than it is to be depressed. And that’s where the difficulty begins. Everyone worries, because the world is a dangerous place. Just turn on the evening news or scroll your Facebook feed for evidence of that. So if everyone worries – how do you know when it’s too much worry? How do you know if it’s something more than just “worry”. And what do you do about it? So here’s a few questions to ask yourself to help you figure out where you sit on the “overthinking vs anxiety” continuum. 1: Are your worries constructive or controlling? What do you do about your worries? Do your thoughts help to keep yourself safe in productive and socially acceptable ways – for example, making sure you have enough petrol and locking your car doors when driving at night time, or do they force you to make decisions and take actions that diminish your life in some way – for example, cancelling or turning down evening catch ups with friends due to your worries about driving at night. One of the hallmarks of anxiety is that it impacts our ability to undertake everyday activities. 2: Do your worries go away once you’ve taken action to address them? Worrying thoughts are one way in which our mind alerts us to danger. Generally, once we’ve addressed the worry, it will leave us, but with anxiety, the fear and worry remains, despite all the actions you take to address it. For example, your daughter, who has a peanut allergy, is going to stay with your in-laws overnight. How do you handle this situation – do you give your in-laws one quick reminder about the allergy before you leave, or do you continue to worry about it for the entire night, find yourself unable to focus on the event you’re attending, and constantly wanting to send them another quick reminder text message? 3: Is your worry in your head or in your body? Overthinking and worrying tends to stay predominantly confined to our brain, whereas anxiety is generally felt all through the body. 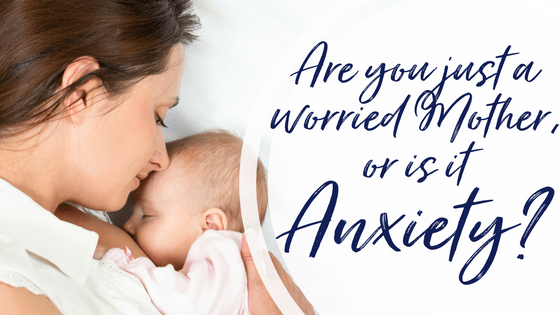 So are your worries combined with a racing heartbeat, sweaty temples, shaking hands, tapping feet, a surging tummy, or a tightness across your chest? Physical symptoms such as these, when unrelated to physical exertion or another illness, can indicate anxiety. 4: Does your over-thinking affect the way you function day to day? We touched on this in point one, but there are other ways that anxiety and worry can impact our daily life – more so than just avoiding certain activities. Is your work productivity being impacted by the amount of time you spend worrying, or reacting to your worries? Are your relationships being impacted – do you find you push people away due to your fears, or feel compelled to ‘put on an act’ around others? Are you delegating decision making responsibility at home or at work due to your worries? For parents in particular, are you finding you’re not enjoying your role as a parent as much as you should, because of your worries. Or are your worries affecting the amount of time you spend with your baby or child – eg. do you avoid letting anyone else hold or care for them – even trusted family members, or alternatively, do you relinquish care responsibilities more often than you want to, because you think others can look after them better than you can? Anxiety is a personal experience, and it can be different for everyone. If you’re concerned you may be experiencing anxiety the most important thing to do is to speak to a GP, your Community Health Nurse, or another health professional involved in your care. A GP will be able to provide an assessment and diagnose an anxiety or depression. They can also refer you for Medicare funded services from a mental health Occupational Therapist (such as myself), a social worker or psychologist, under the Better Access to Mental Health Care program. If you already have someone in mind you’d like to speak with you can let your GP know and he can refer you specifically to that person, as long as they are registered for the program under Medicare. When it comes to treatment options for mild to moderate anxiety, counselling therapies and lifestyle changes are generally the first course of treatment, with best practice being attempting these prior to prescription of medication if necessary. (Please note this is general information and treatment strategies are always personalised). As I mentioned earlier though, you don’t have to be at a clinical level of anxiety to have it impact negatively on your life. Common motherhood traits such as excessive worry, stress, overthinking and the infamous “Mummy Guilt” can all impact our wellbeing and experience of motherhood. Which is why I developed my Mindful Motherhood program – a five week online program to help mothers overcome stress, guilt and overwhelm, to live a more meaningful life. You can check it out here. We start this week, registrations are open until Friday. Three little words. But a whole lot of angst. When I talk about “post-baby bodies”, I’m talking about restoring “function” to our bodies after the rigours of pregnancy and childbirth. But by and large, the post-baby body discussions in the media and society are about our body’s “form”. What it looks like, whether it’s firm and perky or soft and droopy. It’s an unfortunate truth that women face immense pressure to get “beach body ready”, almost as soon as we’ve popped out our little munchkin. There is such a strong message in the media around the importance of getting back into your bikini as soon as possible after childbirth. But why? I’ve never worn a bikini in my life, and I’m not desperate to get into one now, so perhaps I’m a bit biased. But it’s something that gets on my last post-natal wellbeing nerve. I’ve written about it before here. The “post baby body” message is pervasive. Whenever I start working with a new Mum for post-natal support I always ask them about their goals. I can honestly say that every single one of them will mention something about “losing the baby weight”. What I’m really curious about is why women feel so compelled to “lose the baby weight” as their number one priority. I get that weight loss is a goal for many of us – myself included. But I wonder why it’s so difficult for so many of us to accept these natural postnatal changes. Why is it so important to get our pre-baby “form” back super quick? And why is it more of a priority than getting our pre-baby “function” back? 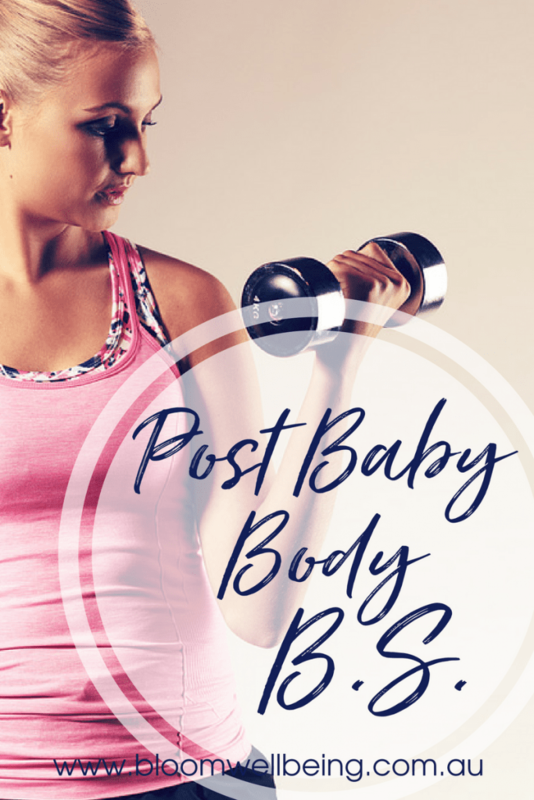 So in an effort to shift the conversation, and to tip the balance in the favour of “function” over “form”, I’m sharing my list of top four post-baby body goals that are way more important than “losing the baby weight”. 1. Restoring your posture and body alignment. Nine months of hefting around a growing uterus does terrible things for our posture! As our baby bump grows, it naturally changes our centre of gravity, meaning that our body will frequently shift into abnormal positions to counter-balance that bump. This can lead to a completely unbalanced postnatal body – some muscles are overstretched, other muscles are too tight. 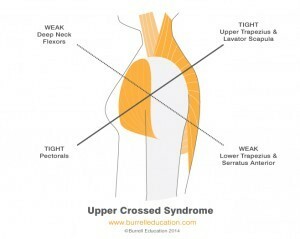 We call these “upper and lower crossed syndromes”. But it doesn’t end there! Once that little bundle of joy is out of our belly, we face the additional physical demands of lifting, carrying, feeding, handling and caring for an infant (not to mention the added manual handing of lugging around heavy strollers, capsules and nappy bags). It’s also worth noting that much of this manual handling is done in an asymmetrical fashion – such as always carrying our nappy bag on the same shoulder, or carrying our baby on the same hip. So our unbalanced, out-of-alignment bodies continue to be unbalanced and out of alignment – and they rarely get the chance to re-calibrate to a natural posture post-baby. 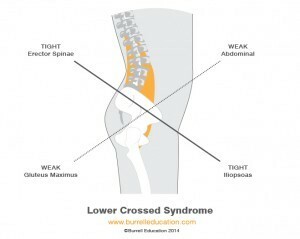 They often need support and we need to consciously retrain ourselves back to a proper posture and alignment. When our bellies start entering rooms before we do, it places our poor little abdominal muscles under great strain. For many women, this leads to a condition called “diastasis recti”, commonly known as abdominal separation. This occurs when all of the abdominal muscles are stretched to such an extent, that the two bellies of the Rectus Abdominis muscle (the 6-pack muscle) pull apart from each other. The ligament that holds these two parts of the muscle together (the linea alba), can stretch a great distance, and in extreme cases, can even tear or rupture. Once the baby is born, it can take some time for this separation to return to (or close to) it’s original alignment. Until it does, our abdominal strength and function can be compromised. But core strength isn’t just about our abs. Postnatal women also need to consider the impact of pregnancy and childbirth on all of their abdominal muscles (not just the Rectus Abdominis), their back muscles, as well as their diaphragm, breathing technique, and of course the pelvic floor. Because all of these structures have a role in maintaining our core strength and integrity, and they all need to work together, in perfect harmony, to encourage great core strength. Check out the image below, for a great representation of how the abdominal and back muscles, along with the diaphragm and pelvic floor, combine to create the “core”. 3. Restoring your pelvic floor. Actually, I really should have made this number one. If you don’t want to be stocking up on the Tena Lady products by the time you hit your 40s, you’re going to need to focus on pelvic floor recovery asap! I think most post-natal women understand the importance of this by now. But understanding doesn’t necessarily lead to action. And when you consider the statistics that 45pc of women still experience incontinence issues seven years post-birth, it’s clear that many women aren’t doing all they should! And for the record, good pelvic floor rehab is about more than just doing your Kegel exercises. It’s also about restoring your posture and alignment (see above), restoring your core strength, improving your breathing technique and learning how to functionally engage your pelvic floor during all kinds of activities. Yes, there’s more to it than “just do your pelvic floor exercise”. So, here are three of my “top four post-baby body goals”. But really, they’re actually just ONE goal. Did you notice how in each section, I mentioned each of the other two items. Because pelvic floor, core strength, posture – they’re all one and the same really. An issue in one will create an issue with all. So to repair one, we need to work on restoring them all. The body doesn’t segment itself the way we think it does. It’s one big integrated unit that should work together in perfect harmony with itself. When you figure out how your body really works – from a whole body perspective, you start to understand how best to “get your pre-baby body” back in a functional sense, rather than a pants size sense. But what about point number 4: Learning how to accept your baby body – whatever it looks like? Easier said than done right? I know I’m currently struggling with this personally. To be honest – I’m actually heavier now than I was at full term during either of my pregnancies. 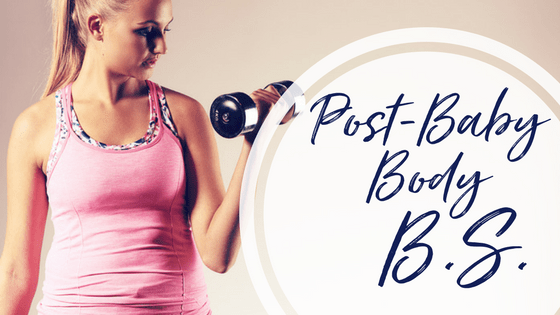 So yes, I had my “pre baby body” back – but then I lost it again. I know it’s not ideal, and there are several reasons behind it, which I’m currently working on – namely addressing the adrenal fatigue that has smashed me for these past two years. Every day is a body challenge for me. Exhaustion is a tricky beast to describe and explain to someone who’s never experienced. I’ve written before about how I so badly wanted to want to run, to work out, to push my body harder. But I simply couldn’t. It’s only really been the past several weeks that I’ve again felt strong and energised enough to start jogging again, which is a great win for me. I lost a lot of confidence in my body through those two years, and I see-sawed between being angry at my body for letting me down, and being angry at myself for letting my body down. And of course this kind of anger isn’t particularly productive! But the one thing I can be confident of is this – even though I’ve gained weight, and lost cardio fitness in the past two years, my body has stayed functional. I haven’t struggled with pelvic floor issues, or poor core strength, and I believe I can attribute this to my postnatal recovery efforts. I put in the work in those early days after each of my babies and it’s given me a solid foundation to keep moving through this challenging body period. Because effective rehab is useful at, and for, any size. If you’re a new mum, are you keen to know more and to start really focusing on rehabbing your “post-baby body”? If so please check out my postnatal wellbeing program, Body Mind Baby. Our next five week course is being held in Adelaide (West Lakes), starting on Wednesday June 7. You can book online here. Please feel free to share with any other new mums who you think may be interested. Please feel free to email me at sarah@bloomwellbeing.com.au if you have any questions. I’m looking forward to helping you get post-baby rehabbed! I’m a Mother. I’m also an Occupational Therapist. And the two are more inter-related than I ever imagined they would be. If there’s been one thing that has influenced my job as an OT more than anything else, it’s been becoming a mother. As an OT, I’ve worked in a few different fields – vocational rehab, mental health, physical rehab, hand therapy, soft tissue injury management. But even these changes in work fields didn’t have the same level of influence over my daily work as an OT than motherhood did. Why motherhood? How can something that isn’t even related to my job have such an impact on my career? And I’m talking about more than my decision to change to part-time work, or to need flexible hours. I’m talking about how my role as a mother had fundamentally changed the way I view my profession, the way I relate to my clients, the way I value the philosophy of OT in general. Because motherhood is more than just birthing a baby and raising a child. It’s something else entirely. It’s what I consider to be the “greatest occupation” there is. Because for most of us who are mothers, we carry it with us everywhere we go. It’s the one role in our life which permeates all others. Once we become a mother, it changes us. It changes our physicality, our hormonal balances, our mindset, our psychology, our spirit. In essence, it changes our whole being. And from that point on, every decision you ever make in your life is influenced somehow, in some way, by the fact that you’re a mother. I very easily could have said: I’m an Occupational Therapist. I’m also a mother. But it doesn’t really work that way. Because, now, I’m a mother first and foremost. Even in the middle of my workday, when my children are the furthest thing from my mind, they’re still there, skipping around the edges of my subconscious. To be honest, I never really gave much thought to how motherhood would change me. I guess I sort of figured it would change the things that I did, the structure of my daily life. But I didn’t expect it to make such a profound change inside of me – to alter how I see myself and perceive the world around me. I was completely unprepared for the upheaval it caused within me. But I know I’m not alone in that respect. I speak to women every single day who talk about how motherhood has changed them. Women whose babies are just days old, through to seasoned grannies! Change is always the constant. Which is why I talk about this in my postnatal wellbeing course, Body Mind Baby. Because as an expectant or new Mum, most women don’t get the chance to speak to health professionals about their expectations of motherhood – of what it means for them and how they see themselves, and how it impacts their wellbeing. So much of the antenatal and early postnatal care we receive is focused on the baby – are they feeding, are they sleeping, have you figured out what that pink rash is yet? And unless a Mum appears to be not coping, rarely will someone sit down with her for an in-depth conversation about herself. Which brings me back to the fact that I’m a Mother and an Occupational Therapist. And just as I can’t switch off my Mum brain when I’m working, I also can’t switch off my OT brain as a Mum. Which is a good thing, because there is sooooo much I learned at Uni through my OT studies, which has helped me along this motherhood jaunt. From human anatomy and physiology, to child development, psychology 101 and sociology. OT is an amazing profession and being an OT has definitely shaped me as a mother. For the better, I like to think. I’m an Occupational Therapist. And that means I help people to live their best lives and to fulfill the roles and occupations within them the way they want to. And as I said before, Motherhood is the greatest occupation of all. So I feel so privileged to be able to work with new Mums every day to help them find their feet in their new role and to figure out how it works for them and how they can best keep themselves well through this time of enormous emotional and physical upheaval. I’d like all new Mums to feel confident having these important conversations about their own wellbeing, on a regular basis. To know that their health and needs are just as important as their child’s and that it deserves just as much airtime. Because if being a mother is important, then shouldn’t we place grater importance on taking care of mothers? Be well and Live Your Best Life. Ps. If you’re in Adelaide there’s still time to join my next Body Mind Baby course which starts on Wednesday 7th June. Check it out here or email me at sarah@bloomwellbeing.com.au for more details. 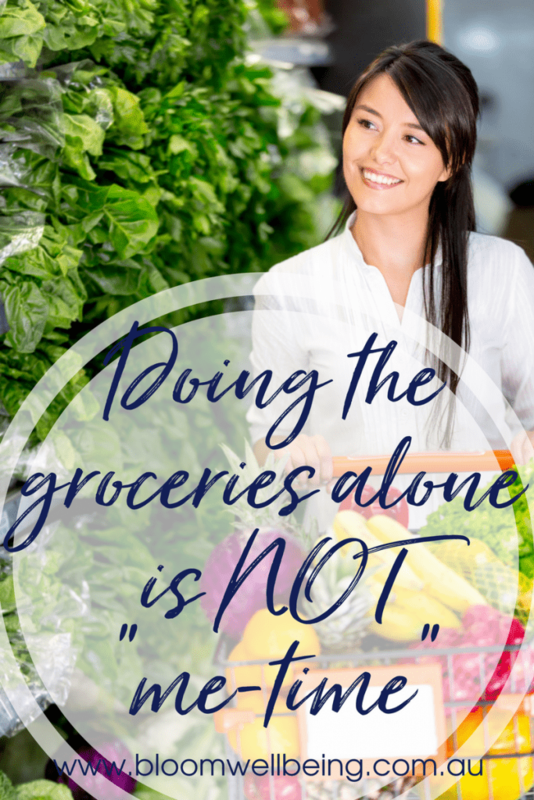 Grocery shopping on your own – and other “me-time” activities for Mothers. Have you ever said this in jest? Or something similar? Makes you laugh right? But pre-kids would you ever have considered a trip to the supermarket to be a bit of “me-time”? Nope. Didn’t think so. So what is it about motherhood that so drastically skews our concepts of “time out”, “self-care” and that all important “me time”? Why do we as mothers feel the need to be so grateful for any time spent on our own, even if it’s just to do mundane tasks? I get the feeling that it comes down to one very important misconception: that we are only “On Duty” as mothers when we are WITH our children, and that any time we are away from our children is a break from our motherhood role. This couldn’t be further from the truth. To explain this further I want to introduce you to a concept called “co-occupation” – which is an Occupational Therapy term referring to “the interplay of the occupations of two or more people”*. Motherhood is the perfect example of a co-occupation, because motherhood is all about the intrinsic linking of a woman and her child. Without a child there is no mother. So how does the co-occupation of motherhood impact us? At first thought, we might presume that the role of motherhood only occurs when we are physically with our child – “doing with” such as playing games with your child, reading a book together, eating meals together, going for a walk or bike ride: “doing to” such as changing a nappy, administering medication, or rocking a baby to sleep; or “doing alongside” – such as watching your child play independently, driving them to school, or extra-curricular activities. These are generally the times when we see ourselves as being “On-Duty” as mothers. But what about the co-occupations that occur when a mother and child aren’t physically together? The “doing for” and “doing because of”? Those times we fold mountains of laundry while watching our favourite TV show, or book dentist appointments in our lunch break while the kids are at school, or bake a batch of muffins for school lunches while Dad takes the kids to the park, or listen to a parenting podcast while on our morning walking, or yes, doing the groceries alone while someone else cares for your child. These times aren’t “me-time” – but sometimes I feel like we’ve been led to believe they should be. That we should be grateful for any opportunity to relish some time alone without our children – even if we’re still doing stuff “for” them, because all time spent without our children present is equally as restful and rejuvenating. Because these things are still “co-occupations” – things we do for, or on behalf of, our children. Certainly they might have been things you would have done, or would still have to do if you didn’t have children. 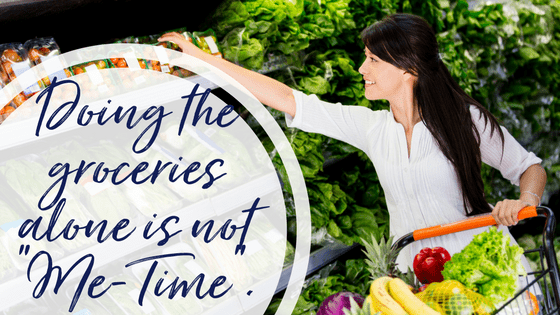 But now that you DO have children, tell me, have you ever managed to do a grocery shop without thinking what you need to feed your child? Or have you ever taken an hour to go shopping for yourself, only to see a million things you’d like to buy for your little one? Even when we do things without our children present, they are still at the forefront of our mind. And that’s why it feels like you never get a break from motherhood – even when you technically “took a break”. I want mothers to understand the difference between “time away from their children” and “time off”. Because those two things aren’t the same. But why do you need a break? Isn’t motherhood enough? Nope. Sorry, I know sometimes we think it should be. But we are all more than mothers. We are individuals first, and we deserve to have an identity apart from our motherhood status. So what’s my suggestion? How can you actually take a worthwhile break? It should be something that you do, just for you – 100 percent. Not something that you do for yourself that your kids also benefit from, like baking food for their lunchboxes or crocheting them a beanie. And not something you do with your children present – such as Mums and Bubs Pilates, or coffee with your Mums group. That’s not to say you should stop these things. They’re all great – they’re just not enough! It should be something active. Now, I love passive “time out” activities – such as getting a massage or a pedicure, as much as the next mum, and they’re often touted as an excellent “me time” activity, but they’re not especially engaging. They don’t require any effort on your part, but they do give you lots of time to think about how nice it is to have time away to yourself, without the kids – it’s a kind of escapism. But that’s not the point. For me, these tasks fit into the realm of self-care, which is lovely, but they’re not as rejuvenating and fulfilling as truly meaningful, engaging activities. It’s a subtle difference between “self-care” and “me-time”. Which brings me to the third factor – it has to be something meaningful to you. We OT’s love, love, love the concept of meaningful occupation. It’s what our whole profession is built upon – the notion that engagement in meaningful activities is what makes a person truly “well” and what makes life truly worth living. But what makes something meaningful? Well that’s completely up to you. Broadly speaking a “meaningful occupation” is something you do which is important to you, or that you enjoy and which benefits your life in some way. So what is meaningful to you? Maybe it’s dancing, maybe it’s reading crime thrillers, maybe it’s bushwalking, or surfing, or painting, or running marathons, or yarn bombing, or restoring vintage cars, or playing the piano, or growing prize winning orchids, or poetry slam nights, or roller derby, or tap dancing, or surfing? It could be anything. Can’t think what that is for you? Here’s a tip. Think back to what you loved to do as a child, or a teenager? What is something you used to do and love that 21year old you would be devastated to think you no longer do? THAT’S your meaningful occupation. Have you figured yours out yet? Do you know what it is? Then go out and do it. As much as you can, whether that’s once a day, or once a month. Find a way to fit it into your schedule. Make it a priority. Because until you do you won’t find time for it. Motherhood is all-encompassing. If we let it, it can swallow us whole. We need to have something that reminds us of who we are – without reference to our children. Something that isn’t a motherhood co-occupation. You matter, and what you love matters. And I’m sure there’s something in this world you love doing more than the groceries. If you’re the parent of a child who has been referred to an Occupational Therapist for support then chances are you’re not quite sure what to expect from the process. Unless you’ve had a child undertake Occupational Therapy in the past, or have been close to someone else who has, you may not know exactly what’s going to happen in those first few sessions. Which is why I’m creating this series of blog posts focused on the process of having a child referred to a paediatric Occupational Therapist (OT) for support. 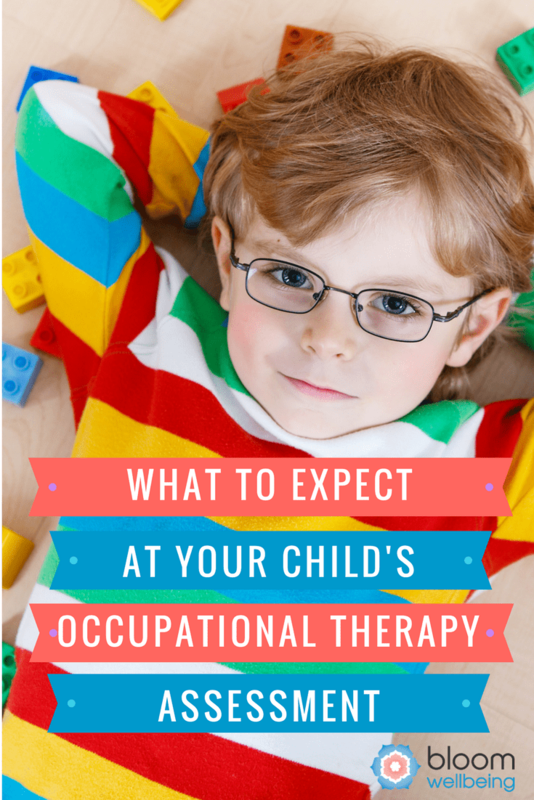 Stay tuned for future blog posts coming this week on this topic, including: “How can an Occupational Therapist support my child?” and “What to expect at your child’s first Occupational Therapy session”. Today’s post is all about the paediatric OT assessment. The good news is, an OT assessment is likely to be the most fun assessment your child will ever undertake. Many of the tools we use are play-based, because we use play as our primary means of therapy and of understanding a child’s functional skill level. But it’s also important to remember that any time a child, or their parent, meets a new therapist it can be a little nerve-wracking, especially if you don’t know what to expect. So here’s a few notes on what’s likely to happen in the OT assessment process. Many Occupational Therapists, including those at Bloom Wellbeing, will ask parents to complete a pre-screening form prior to the assessment day – which you will either return prior to the assessment, or bring with you on the day. This questionnaire is likely to have questions about your child’s medical and social history and development, as well as questions about their strengths and weaknesses, and any goals you have for OT intervention. This questionnaire is an opportunity for us to gain relevant background information from the parent or guardian which will help to inform our assessment process. It’s useful for parents or guardians to fill this out in advance, as it gives you the chance to think through your answers, and it also saves a lot of time in the clinic room during the assessment. Firstly, you should know that an OT “clinic room” doesn’t really look very “clinical” – it actually looks like a big playroom – with movement based play equipment, and a range of toys are games to engage your child. It’s a great idea to make sure your child is wearing clothes suitable for play – things that are easy to move around in and something you don’t mind getting dirty (ie covered in finger pain or shaving cream! ); shorts, pants or leggings are better options than dresses and skirts to allow free movement; layers are handy in case your child gets warm during activities; and socks are a great option for hygiene, as we do a lot of activities without shoes. The OT is likely to want to discuss in a little more detail the information you provided in your pre-screening – this helps to clarify any important sections, or to perhaps provide additional information for other areas. The first session can be a little more focused on the parent and therapist talking, but future sessions are likely to be much more focused on the therapist and child undertaking activities together. It is likely that while they’re undertaking the interview with you, the OT will set your child up with a developmentally appropriate self-directed play activity. While you chat the OT will also be watching your child during this activity, to collect a bit more observations about your child’s play skills. Once the parent interview is over, the OT will then be likely to get down on the floor to play with, and observe your child’s play, more closely. They will be looking at different components of your child’s play, including the play themes they use, how they use objects during play and the creation of play storylines. “Gross” motor skills refer to the big body movements your child undertakes. Tasks such as walking, running, jumping, throwing, crawling, dancing, rolling, sitting down, standing up and balancing all fall into this category. These tasks may be assessed through a standardised assessemnt such as the “Movement ABC” assessment, or it may be conducted through skilled observation of your child undertaking these type of tasks, and relating them back to age-based skill expectations. “Fine” motor skills generally relate to tasks your child undertakes with their hands – including drawing, colouring, playing with small items, using cutlery, doing up buttons and zips, or tying shoelaces. As for gross motor skills, these fine motor skills might be assessed with a formal assessment tool such as the “Movement ABC” – or it might be conducted informally through engaging your child in a range of age-scaled fine motor tasks – such as playing with marbles, threading beads, playing with lego or cutting shapes out of paper. This part of the assessment concerns how well your child’s vision and motor skills work together – you’re probably familiar with the term “hand-eye co-ordination” – and this is part of visual motor co-ordination. This task is likely to be a pencil and paper assessment, such as the Beery Buktenica Development Test of Visual Motor Integration. If your child is at pre-school or school age their OT assessment may include a handwriting component. This generally consists of pencil and paper tasks, including drawing “pre-writing shapes” (eg. Lines, curves, squares, circles), and writing words and numbers such as their name, age, the alphabet, or the name of their school. The Occupational Therapist will be very interested in understanding how your child processes sensory information, which includes the five senses of touch, sight, hearing, taste and smell, as well as two additional senses: proprioception (related to body awareness) and vestibular awareness (related to balance and position in space). Difficulties with sensory processing can often create difficult behaviours for children, which can impact their ability to participate in general activities. You will likely be asked to fill in a form, such as the Sensory Processing Measure, for the OT to score after the session. If your child is at school you may also be given a form for their classroom teacher to fill out, if their sensory issues appear to be impacting them at school. Once the OT has an understanding of the sensory profile and needs of a child, it helps them to better plan therapy sessions and provide advice on how to support your child’s sensory needs in their daily life – such as at home, at school, or out in public places such as shopping centres. You will generally receive a report within an agreed time frame, which outlines the results of the Occupational Therapy assessment process. Depending on your child’s needs and situation, you may be able to choose whether you want a brief report, outlining basic score results and providing brief information on goals and therapy suggestions; or a more detailed report, which more thoroughly explains the results and observations taken during the assessment, as well as more specific goals and therapy considerations. When deciding which option to choose you will need to consider how much information you might need – for example, do you need a full report to apply for NDIS funding? Or are you simply after some general suggestions on minor issues? Be aware that it is very difficult to come back and write a full report more than a few weeks out from the assessment, and most Occupational Therapy providers will not be able to offer a full written assessment report a few months on from the assessment, without re-administering at least some components of the assessment. The purpose of an Occupational Therapy assessment is to not only give you information on where your child is at with regard to their development and functional abilities, but to make suggestions for therapy which will help them to further develop in any areas where they might currently be lacking. Following an assessment and report, an OT will discuss with you the potential therapy options available, which might including the duration and frequency of treatment – eg once a week, once a fortnight; the location most suitable for therapy – eg in the clinic or at school or childcare; and the sort of activities that will provide best results, eg. sensory integration therapy, a developmental movement program, or an emotional regulation program. Remember Occupational Therapy is a collaborative process between your child, you and the therapist (and perhaps their teacher or child carer worker), so it’s important you work together to achieve the best possible outcomes for your child. Why is the assessment split into two sessions? 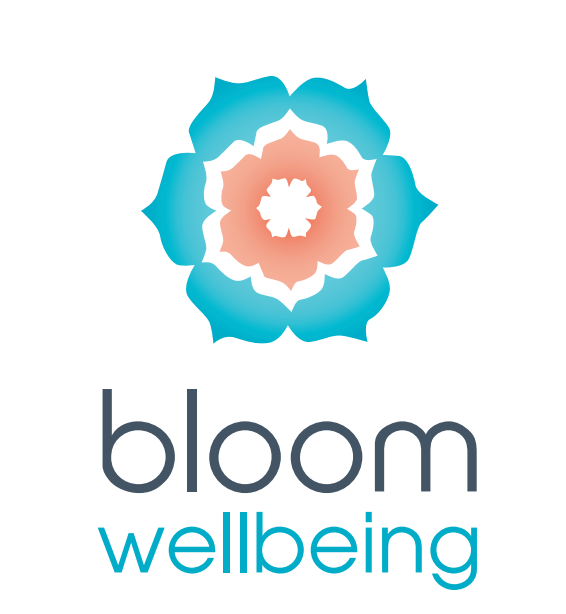 An Occupational Therapy assessment can be a lengthy process, and as such at Bloom Wellbeing we split the process over two one hour sessions. In special circumstances it is possible to complete the assessment in a single extended appointment, however we prefer not to do this, for a couple of reasons. Firstly, although many of our tasks seem like play and fun, they can still be taxing on little bodies and brains, so we don’t want to overload your little one with too many new experiences all at once. Secondly, each assessment component is best undertaken when your child is feeling focused and content – if we try to cram too much into one session, it’s likely they may start to become tired, grumpy or quite simply “over it” in which case the assessment results might not be indicative of their true abilities. Thirdly – having a two part assessment gives the therapist two opportunities to get to know your child and build rapport with them – the first appointment can sometimes be overwhelming for your child, so having two sessions helps your child get to know the therapist, which means that hopefully by the second session they have already built a small connection to the therapist, and are more comfortable in their presence – this too gives the therapist an opportunity to see and assess your child at their best. Finally – having a two part assessment gives the Occupational Therapist time to think! 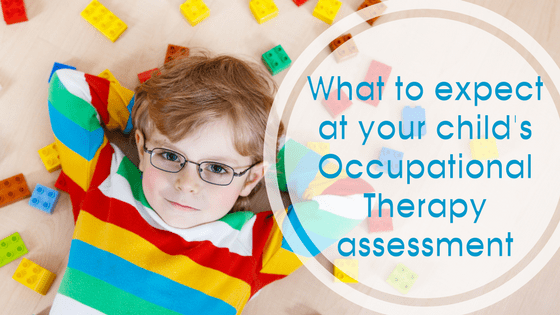 An Occupational Therapy assessment covers many different areas of development, and the OT will not always know before the assessment exactly which areas of development are of most concern. Many of the assessment components interlink with different skills or areas, so during the assessment, the OT will constantly be looking for different markers or activity examples related to your assessment and child’s development. Having a break between assessment components gives the OT the opportunity to spend longer focusing on one area of development, or to introduce another assessment component they might need to add after their initial observations. All of these reasons are also the reasons we try (wherever possible) to ensure that the Occupational Therapist that undertakes your child’s assessment will be the same OT to continue to deliver therapy services on an ongoing basis. The assessment process is the first opportunity for a therapist to build a rapport with your child. We build trust and connection in these first sessions, and this serves both your child and the OT – for your child, they will be starting therapy with a person they’ve already met, and for the OT, they will have already gathered a huge amount of information about your child which will help them plan some wonderful initial therapy sessions. Phew! I know that’s a lot to take in, so well done if you made it this far into the post! Remember that every OT clinic is a little different – they may structure their assessments differently to how we do it at Bloom Wellbeing, or they may use different assessments and tools. Additionally, every therapist, child and parent is different, so in that respect, no two assessments are ever going to be exactly alike. But hopefully this post has given you a lot more information, and in turn a little more confidence, about what to expect when you go for your child’s assessment.